Forwards more central playing with a full back sweeping up from the back. 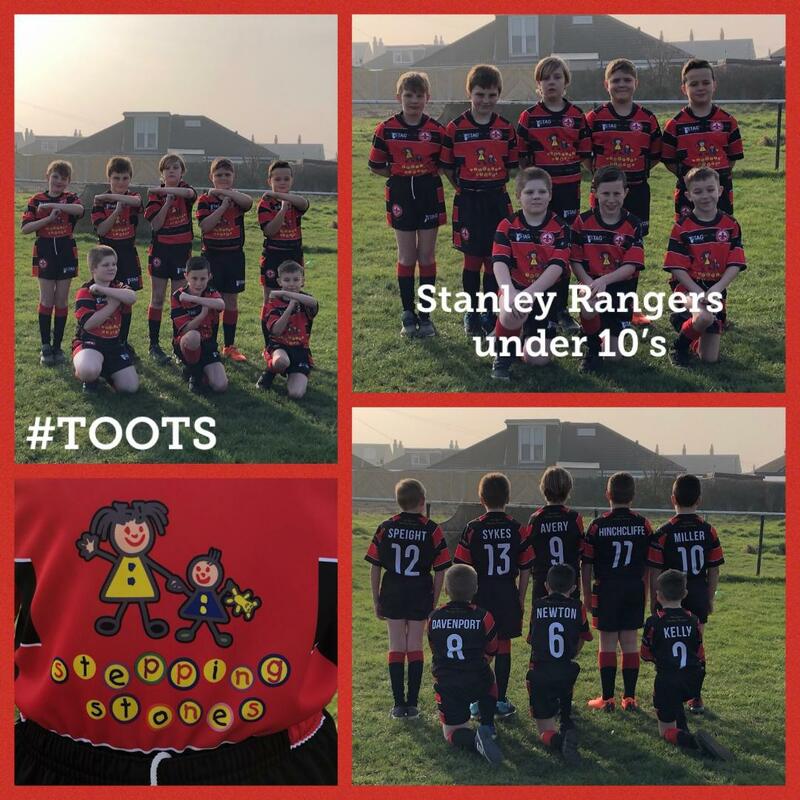 It was a game of four quarters and what drama we had until the final whistle...Stanley Rangers were caught cold within the first few moments by one of there own. He smashed through the defence and scored a well deserved try for the opposition Morgon Speight. This woke the players up from their sleep and the fight back began. They listened to the instructions given and played together as a team played impressively with vigour and endeavour and dare to try things. Jack Davenport playing an unfamiliar position for him at scrum half orchestrating from the ruck. The passing and attacking was beyond belief and wonder. Kian Newton making runs and inroads through and passed the opposition defence. The forward power of Declan Hinchcliffe, Hughie Hargreaves and Beau Miller it worked out to perfection and the wizard like wing skills of Alfie Sykes - it all came together brilliantly and Tyler Kelly playing a on the other wing motoring on and upwards we had it all in the first half. But it was still tight. Special mention to Morgon Speight playing for the opposition without being asked. Special mention to Tyler Kelly playing for the opposition without being asked. The reaction of the players and parents was amazing . The players deserve all the credit. The played brilliant and out of this world. Thanks to all the support and care from the parents. Bring on next week and can the team kick on from this amazing result. WELL... THATS ALL FOLKS SEE YOU ALL...BACK NEXT WEEK AGAINST METHLEY. Match report from your roving, raving reporter Denis Speight.